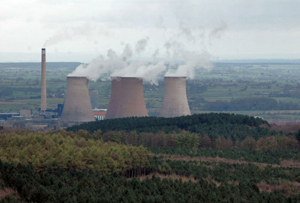 Can Deighton pull off £14bn 'nuclear Olympics'? Lord Deighton achieved a spectacular success with the London Olympics last year. Can he sprinkle the same magic on the stalled nuclear power deal with EDF? Paul Deighton, the organisational and motivational brains behind the huge international success of the London 2012 Olympics last year, is now commercial secretary to the treasury and has just been handed another potentially even stiffer challenge - to stop the UK’s on again, off again nuclear power programme from fizzling out completely. French energy giant EDF has, as you may recall, been granted planning consent for a new £14bn nuclear power station at Hinkley Point in Somerset - the UK’s first new nuke in 20 years. And not before time, if the warnings of an impending energy crisis in the UK within 5 years from the likes of Ofgem and the head of Scottish & Southern Energy are to be believed. The trouble is, EDF is still arguing with the government over the price we Brits will pay for electricity generated by any new plant. The French firm has asked for an extremely generous £100 per megawatt hour, a sum that would be pretty hard to defend politically for the government. Not so long ago EDF was talking breezily about £45 per megawatt hour. HMG would prefer a more modest - but still high by the standards of nuclear programmes elsewhere in the world - £70 per megawatt hour. Deighton’s task is to broker a deal between the two, saving not only Hinkley Point itself but also the prospects of any further new nuclear generating capacity being built in the UK. Put bluntly, if the government can’t make this one work, then nuclear power in its current form will effectively be off the UK energy agenda whatever the politicians might say. So what’s the problem? Well, as always with nuclear, events and sentiment play a big part. The disaster at Fukushima in Japan and the subsequent public rejection of nuclear power by the likes of Germany - which had look set to reverse decades of saying ‘Atomkraft - Nein Danke’ - has rather taken the shine off the ‘nuclear renaissance’ before it even happened. EDF’s share price has collapsed in recent months, as has that of its technology partner Areva, whose EPR reactor design would be built at Hinkley. The other, related, issue is that of finance and timescale. It will take well over 10 years for investors to even start earning their money back on a new reactor, budgeted to cost around £14bn (although history suggests that the eventual figure could be more). Private backers with pockets that deep and investment horizons that long may only exist in the rose-tinted minds of civil servants desperate to get new infrastructure built without having to fund it directly from the treasury. Faced with the prospect of locking up so much money for such a long time, no wonder EDF is holding out for the largest premium it can. So is there a deal to be struck? Over Hinkley Point, almost certainly yes, and Deighton is a pretty good choice of negotiator. But when it comes to the bigger picture, nuclear power urgently needs to reinvent itself. New smaller, faster and cheaper designs are required, to appeal to the appetite of the modern investor. Much as has happened with gas and wind power over the past couple of decades. Whether that can occur in time to help us keep the lights on here in the UK is a moot point.